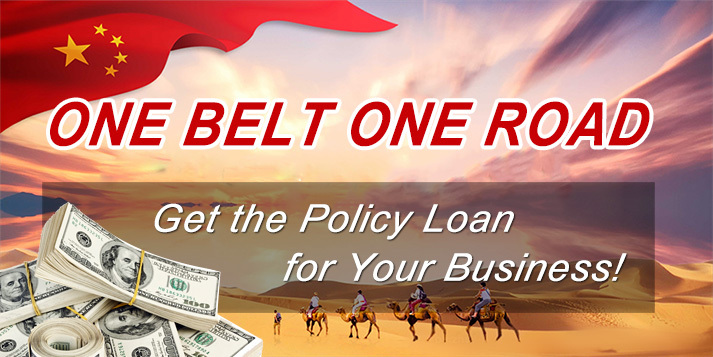 Here are some details of palm oil industry that you should know before starting your palm oil manufacturing business, build a palm oil processing factory or invest in a palm oil making company. The oil palm plantation mainly distributed in altitude below 700 meters and latitude between 10 degrees north latitude and south of the equator, and with a rainfall of 1600 mm per year at least. Nowadays, there are about 10 million hectares of oil palm planted around the world, located mainly in Malaysia and Indonesia. Palm oil is a popular kind of vegetable oil which is applied in both food and non-food industries. In recent decades, the demand for edible vegetable oils is growing rapidly. To meet the increasing demands, both the size and number of palm oil plantation have largely expanded. 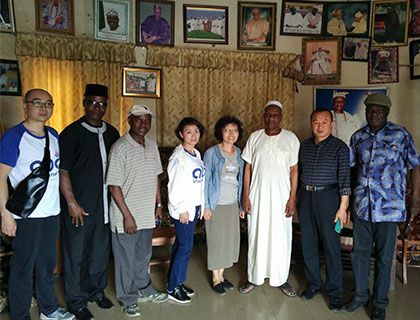 More and more investors step into oil palm plantation and palm oil processing business. Below is the Top 10 consuming nations of palm oils, accounted for 37.48 million tonnes, 66% of global consumption. Dura, Tenera and Pisifera are the three main oil palm varieties. Tenera palm fruit is mainly selected for palm oil extraction. The palm fruits are composed of mesocarp, endocarp and endosperm. 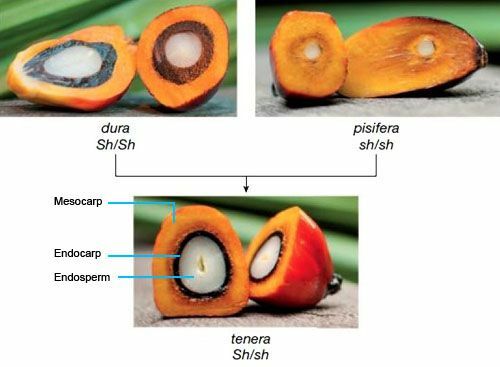 Palm oil is extracted from the mesocarp. 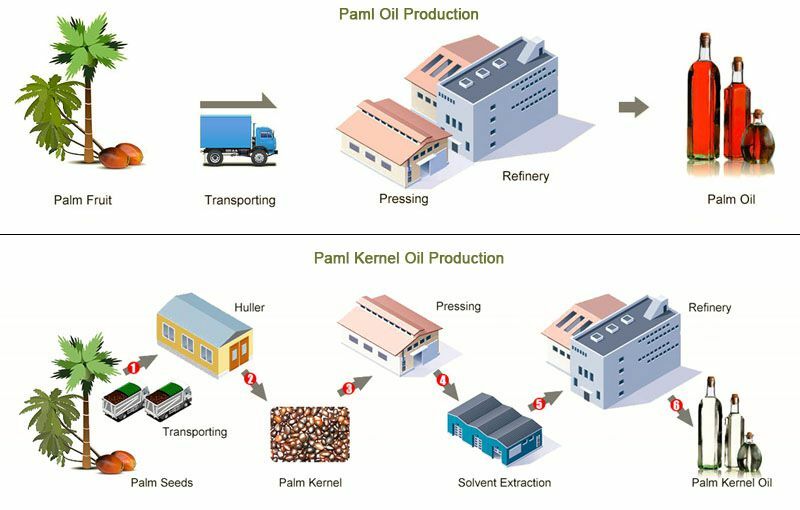 Palm kernel oil is extracted from endosperm (kernel). 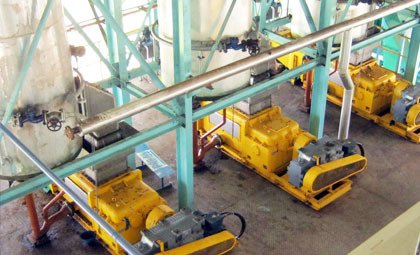 Palm oil accounts for 35% of the world's vegetable oil market and there's a very good reason why palm oil mill is a great investment projects. 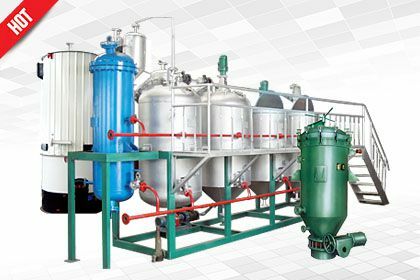 Wide Application: Palm oil is widely applied in biofuel and energy, animal feed (palm kernel expeller), personal care and cosmetics (mainly palm kernel oil), consumer retail food and snack manufacturers, pharmaceutical, foodservice/service industry. 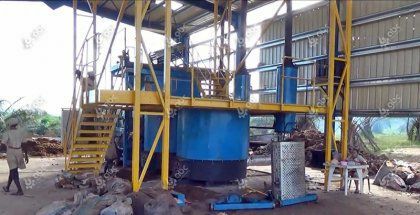 In addition to the 3.74 tonnes of palm oil per hectare, 0.4 tonnes of palm kernel oil and 0.4 tonnes of palm kernel expeller / cake are also produced from the fresh fruit bunches or FFB. 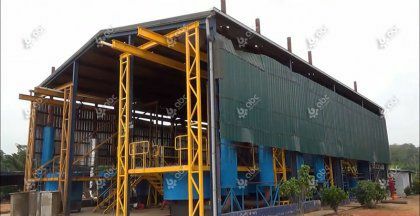 Palm kernel oil is a widely used ingredient in the personal care market, and palm kernel expeller is used extensively in pellet production plant for making bio-energy fuel and animal feed sector. Harvested all year round, oil palm trees produce on average 10 tonnes of fruit per hectare, far more than soya, rapeseed and sunflower crops. This means oil palm requires 10 times less land than the other three major oil producing crops, soya, rapeseed and sunflower. 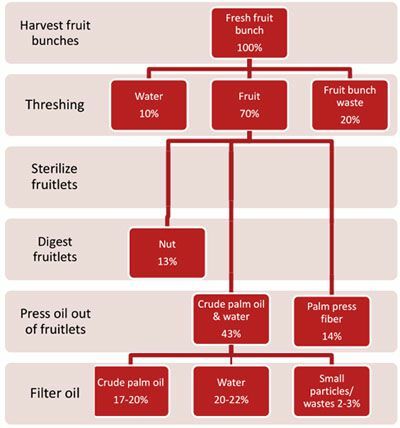 How Is Palm Oil Processed? After be harvested, the Fresh Fruit Bunches (FFB) will be transported to a palm oil mill. 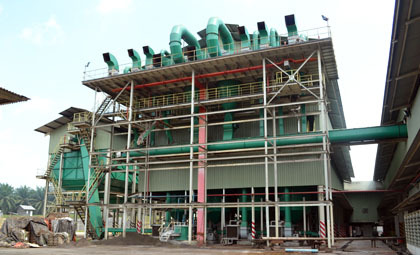 The oil contained in the flesh of each individual fruit on the bunch will be extracted out in the mill. 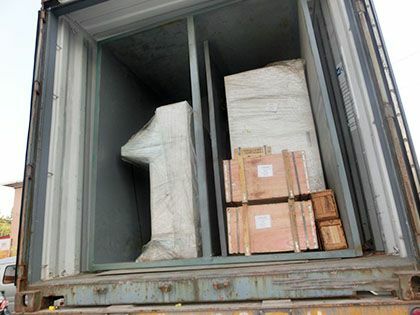 After palm oil extraction process, the palm kernel will be recovered and sent to palm kernel oil mill plant for manufacturing palm kernel oil. 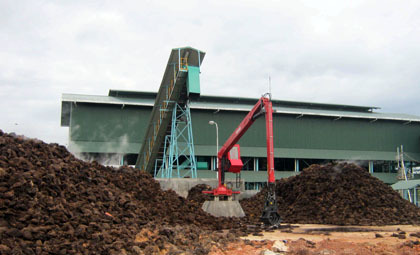 The pulp left over from this process is pressed together, forming palm kernel cake or expeller. 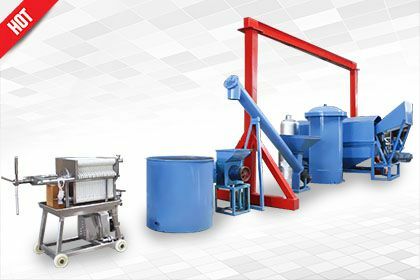 Crude palm oil, palm kernel oil and palm kernel expeller are the three main palm products of palm oil processing industry. 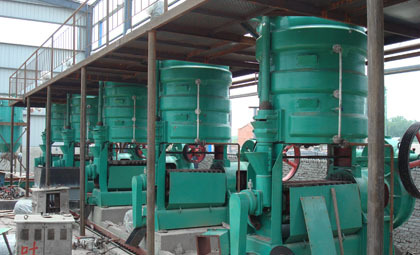 The principle of palm oil prpcessing is to extract the oil from palm fruit using steam and pressing machine. 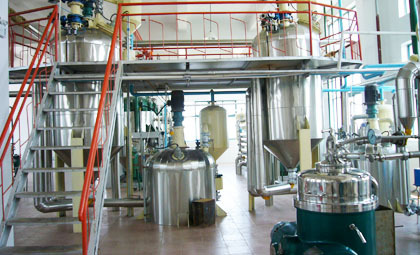 The oil is then purified by the application of gravity inducing oil separation.